London based licensing firm Born Licensing has signed a representation agreement with JoyPixels Inc., the official licensing brand of EmojiOne digital icons. Born Licensing will operate as their licensing agent in the advertising and marketing category. The pairing has already resulted in two deals; one with UK online food order and delivery service Just Eat and one with German supermarket EDEKA. 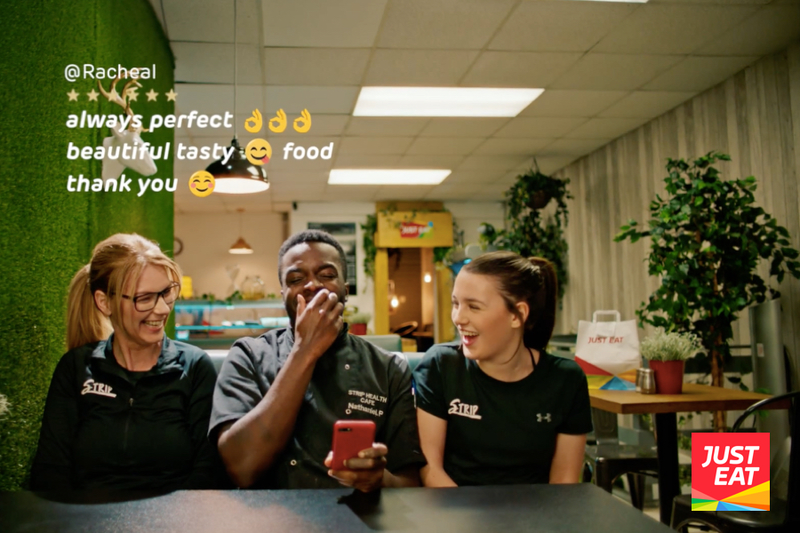 Just Eat launched a number of films with local restaurant employees reading real online customer reviews which featured JoyPixels emoji icons. In one of the films, three staff members from a London restaurant read a real review from a customer named Rachael who said ‘always perfect, beautiful tasty food, thank you’ with JoyPixels emoji icons featured throughout. EDEKA licensed JoyPixels emoji icons in an online series which followed three EDEKA trainees that are also housemates. The series consisted of 7 episodes ranging from 4-8 minutes each. The series of 20 second Just Eat films featuring JoyPixels emojis can be seen here. The EDEKA online series ‘Die Azubi-WG’ can be seen here.